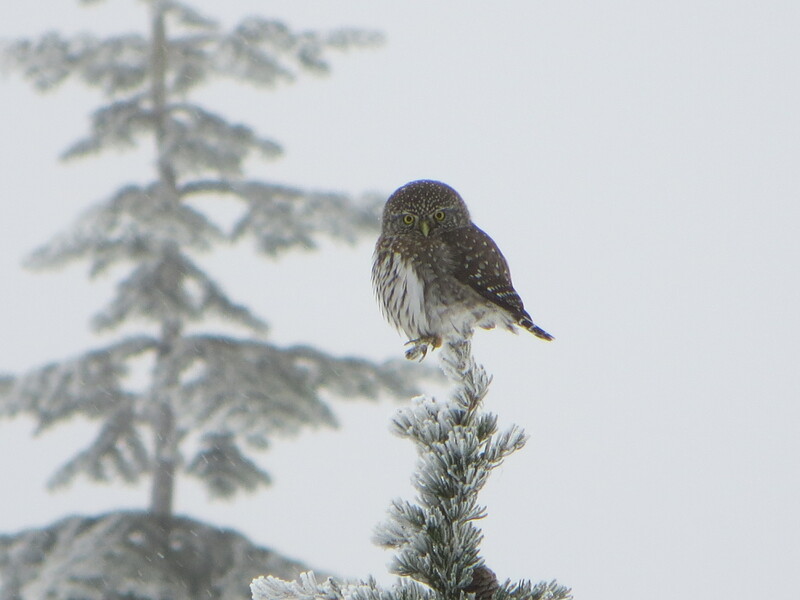 I wanted to share some pictures I took of a Northern Pygmy Owl during the December school break. It was a snowy and overcast day. 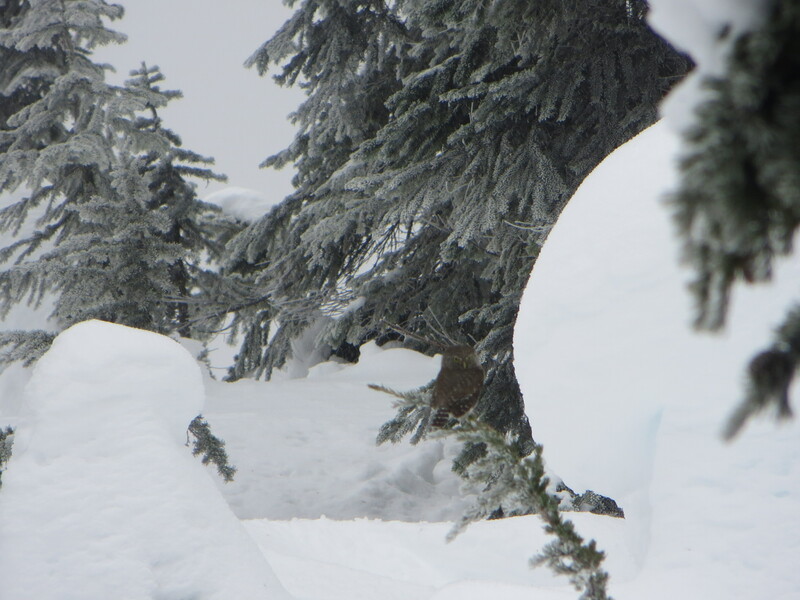 I thought I had spotted a Whisky Jack, who are very common in the mountains. 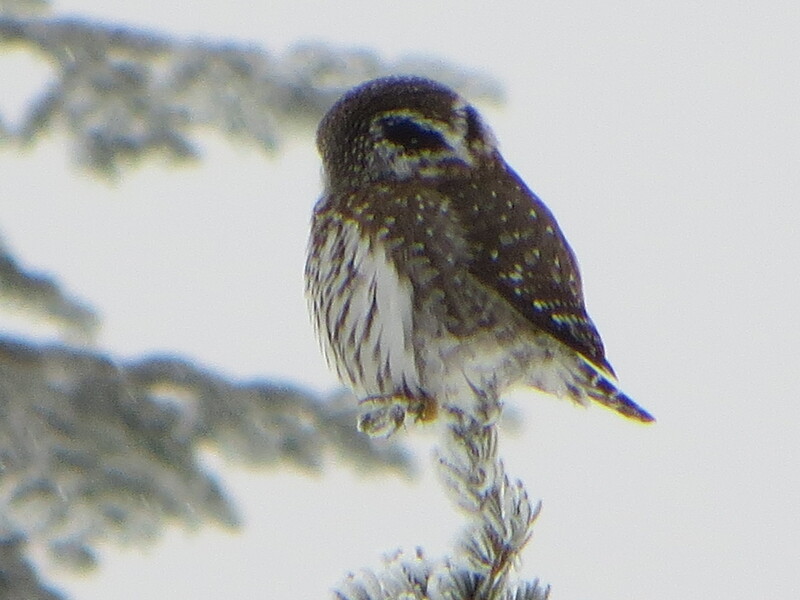 But it turned out, I had managed to spot an owl who is only seven inches tall. These photographs were snapped with my Canon point and shoot, I wish I had had my better camera with me! 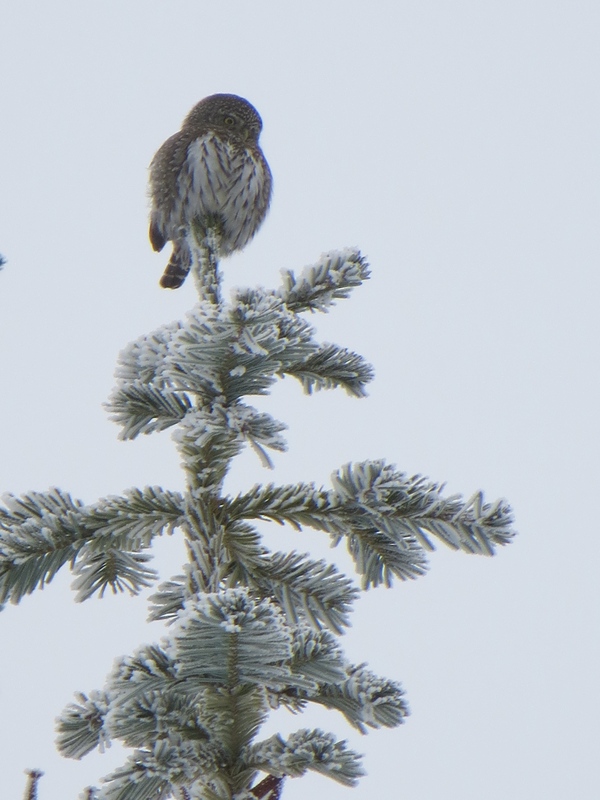 I use the tag #birdnerd when I post my pictures on Instagram, I’ve always been a closet bird nerd/ lover but now I share my photographs. I hope you enjoy the photographs as much as I enjoyed the experience.